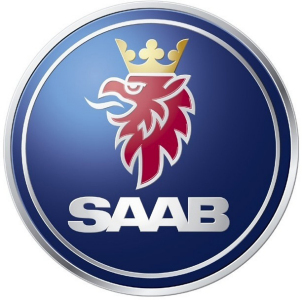 DIY and how-to articles on repairing the Saab 9-5 SE. Over the past several thousand miles (120,000 miles on the odometer now) I'd been noticing some strange vibrations in the cabin. These vibrations were the worst when the car was traveling between 60 MPH and 75 MPH. I originally suspected a tire imbalance. But, after having the tires balanced, the problem persisted. I put up with the vibrations throughout a 2000 mile round trip to Colorado for my nephew's wedding. Fortunately, I was able to travel at 80 MPH for most of the trip and the vibrations weren't nearly so bad at that speed. When we got back home, though, I certainly wanted to get this problem corrected. Reading online, I discovered that the engine mounts were a likely candidate. So, I purchased new left and right motor mounts (eEuroparts) and installed them. Installation of these two mounts is very straightforward. Wow! The difference in vibration and noise in the cabin (and outside) was incredible. It is like we have a new car again. My wife is thrilled with the improvement and commented that the car was so quiet and vibration free that she was a little worried about putting it in gear, fearing the engine wasn't even running. The replacement of these two engine mounts is the single best purchase I have made for improving the overall experience of driving the car.